Shofukan Kendo Dojo - Home Page. We are a not-for-profit kendo club. All instructors are volunteer members of the All United States Kendo Federation. 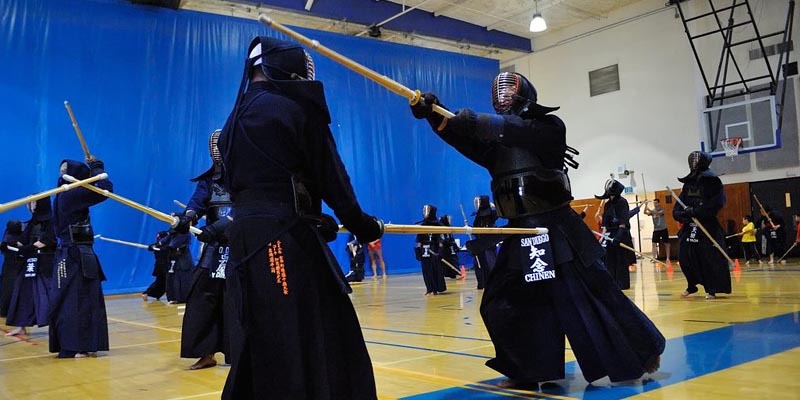 Kendo Instruction and use fee is as low as $2.50 per hour (when signing up for annual membership). Our dojo offers a youth instructional program as well as open practice sessions for both youth and adults. Whether you are a beginner looking to enter the sport of Kendo, or an experienced practitioner looking for more practice opportunities, please come and join us. We welcome participants and visitors from any AUSKF dojo, including both SCKF and SCKO. We also offer membership for those currently unaffiliated with AUSKF. See Membership Section to join or for more details. Gedatsu Kendo Dojo. Lawrence Family JCC. San Diego Kendo Club. the Chinen Family. the Yamamoto Family. the Shimizu Family. Mr Sprowls. Mr. Chang. Ms Tam. the Yoon Family. the Hsu-Hayashi Family. the Chen Family. Mr. Okada. Mr. Ono. If you are able to and would like to help by making a contribution, click on the "Make a Donation" button to the right for more information. Corporate sponsors welcome. Please contact us directly if you would like to sponsor our vision.